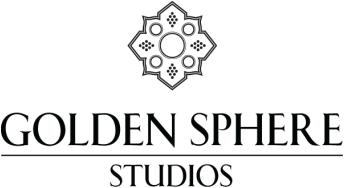 How do I place an order on GoldenSphereStudios.com? Simply place the chosen jewel in your shopping cart and proceed through the check out procedure. Some items are ready to ship within two business days, others may take longer. We will be happy to confirm a ship date at the time of order. Once the package has been shipped, you will receive a confirmation and tracking number via email. Please note, there will be a signature required upon delivery. Will I be charged sales tax on my online purchase? GSS will charge Washington state sales tax on all purchases delivered to Washington recipients. What if I need advice concerning my purchase? We are happy to help you with your purchase of a Kent Raible heirloom piece! Contact us through the GSS website and we can offer suggestions and information on an item viewed on the website or assist you in commissioning a original Kent Raible. GSS prefers that you contact us directly concerning any damage or repair needed of your Kent Raible jewelry item. Once we understand what is needed, we can then give you an estimate of cost, if any, that may be incurred, what you can expect your piece to look like once the repair is done, and an estimated time frame for the work to be completed. What if a gemstone in my piece gets damaged or breaks? Sometimes a gemstone can be re-polished, or re-cut to look like new. Sometimes not, and a new stone must be purchased and replaced. Start by sending images to info@goldenspherestudios.com. From there we will advise you as to your choices and costs. If my piece looses any granules, can you replace them? Many pieces incorporate hundreds, even thousands of the tiny golden spheres called granules. It is not uncommon to loose a few over time. This is part of regular wear with granulated jewelry and is not considered to be a flaw in craftsmanship. Sometimes we can replace them for you, sometimes not. Start by sending us a photo of the piece with a close up of the area missing granules and we can advise you from there. Will you size my Kent Raible ring/bracelet/chain? Can I order a piece of jewelry using my own gemstones? Not for the limited edition Studio Collection. When ordering a custom piece, this may be possible and would need to be discussed on a case by case basis. Contact us at info@goldenspherestudios.com. No, unfortunately because of the very specific alloy of 18 karat gold we work with for our granulation process, we can not use your gold. What is the cost of having something custom made? Can my piece be made in platinum, or a metal other than Kent's 18 karat alloy? As you may notice in pieces from Kent Raible's one of a kind Masterworks Collection, many pieces have accents of platinum, rose gold, etc. Although Kent's work is primarily done in 18 karat gold granulation, other metals may be incorporated into your custom order in a similar fashion. Metals other than our 18 karat yellow gold alloy are not used in the limited edition Studio Collection.